There’s lots of data that the networks look at when deciding whether to renew or cancel a TV series — particulalry in the case of The CW — but the ratings are a major ingredient. Wonder if your favorite’s already been renewed or cancelled? Visit our CW 2011-12 show page. Which CW shows are hits and which ones are in danger of being cancelled? The answer might surprise you. By looking at the chart below, you can see their current season ranking, ratings averages to date, and their grade in the all-important 18-49 demographic. This chart incorporates final ratings data through Friday, June 1, 2012. The averages included in this chart are based on the final numbers, not the fast affiliate ratings that are typically reported the next morning. The final numbers become available about a day after the broadcasts or in some cases several days later. The chart will be updated as the new data becomes available. Demo numbers are reported by Nielsen using the 10ths decimal place (2.4, for example). We used to report averages that way but it ends up being hard to see any movement week to week — particularly considering The CW’s small demo ratings. It can also be a little misleading since a show with a 2.35 average and a show with a 2.44 average will both round to a 2.4 rating. In this chart, we’re including the demo average rounded to the 10th (2.4) as well as the 100th place (2.41) in parenthesis so you can get a better idea of how the average has been affected by the latest episode’s demo rating. 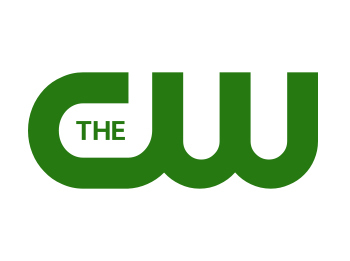 Since The CW has very few shows, the reality shows are included with the scripted series. Beauty and the Beast won The People’s Choice Awards. I think we know more then you think why would we have nominated that show if we didn’t think it was a great show? We need a renewal status on Beauty and the Beast for 2nd season.